When I decided I wanted to enter the world of food blogging, I met my daughter Carolyn at her home in Williamsburg to work on creating Vegan Except Dessert. But of course, who can work on an empty stomach? 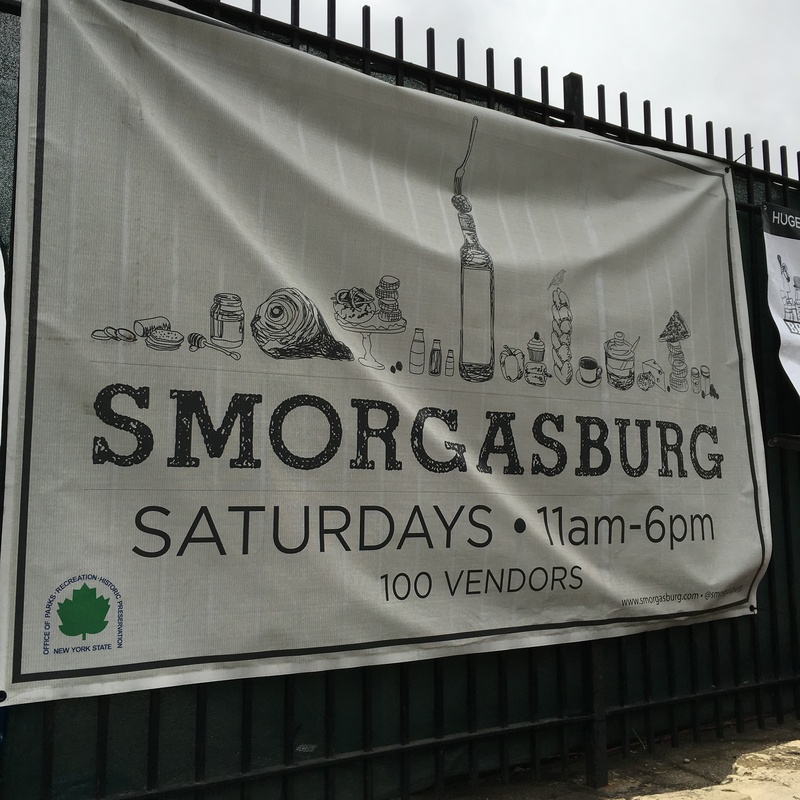 So, we headed north one block to the famous Brooklyn Smorgasburg. What a treat- dozens and dozens of food vendors! 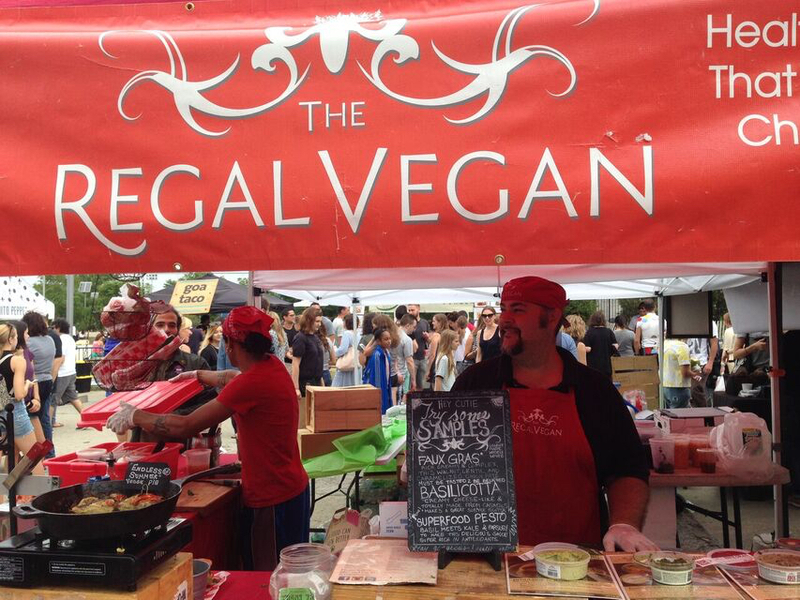 Lots of vegan choices and we ate our way through it all- yum!! The Epic Banh Mi sandwich from Regal Vegan . I was too busy gobbling it up to get a photo ( soooo sorry). They make a fabulous lentil and walnut spread that is great on sandwiches or just crackers for a snack. Check their website to see where you might get it. 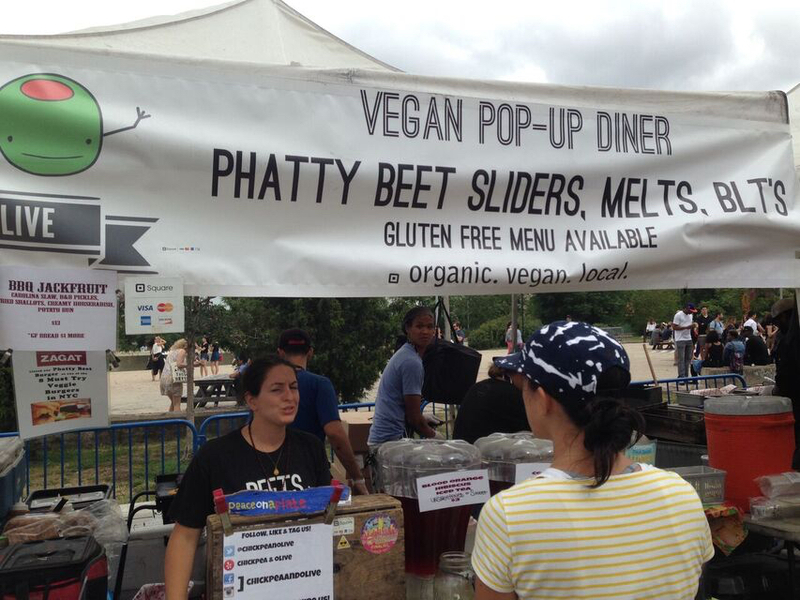 The Phatty Beet Burger from Chickpea and Olive. The Chickpea and Olive crew, Daniel Strong and Danielle Ricciardi are good friends of my co-worker, April. So, I knew to look out for their booth- and I’m very glad I did! VERY interesting and VERY tasty! What a great way to start my new project! Can’t wait to go back !